As a first timer with the business of the school run, there are a few things I have come to realise I just wasn't prepared for. Despite my dry runs, timing the walk from door to door (I even considered investing in a pedometer to get scientific verification of which of 2 routes was more efficient), I am surprised to be surprised. 1. At least twice a week, a scooter will collide with the back of your legs. The correct response by the way, is to genuinely accept the other parents profuse apologies because you will be seeing them again and there is a strong likelihood, your child will scoot into their legs before the weekend. 2. The PTA - to join or not to join? The school PTA is a good gang to associate oneself with. Such was my strategy anyway until I was scared off when the role of Treasurer was announced as vacant and urgently requiring a volunteer. I don't want to be the treasurer! That means being responsible for the school's money. Anyway I suspect you have to be atleast a part qualified accountant to be an effective treasurer and actually enjoy it. I think I'll stick to making pretty things for the Christmas fair and helping the teachers with organising the class room and resources. 3. The head teacher makes me want to behave. I like the fact that the head teacher is a strong no nonsense type, but even I feel I have to sit up straight and tuck my shirt in in her presence. She just commands authority. 4. 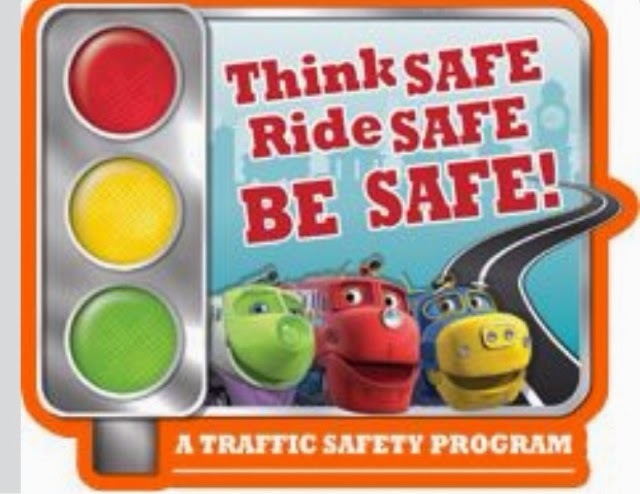 Road safety ground rules. 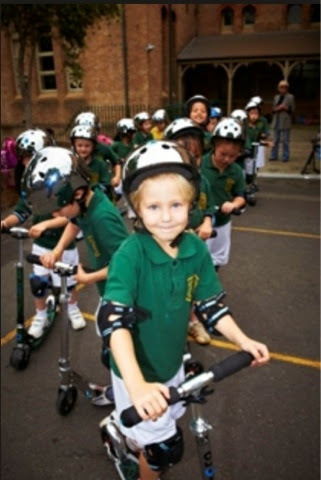 Road safety has taken centre stage in our family since the start of school. Despite my confidence that my child understands the rules, I have to remember children get carried away and they will influence and be influence by others resulting in scooter races at rush hour. Confiscation of the scooter is not out of the question. 5. The Ice cream van. I find the presence of the sugar dispenser, I mean, Ice cream van right outside the school premises irritating to say the least. I wonder when it will be replaced by a fruit and veg van. 6. A 4/5 year old is actually capable of carrying their own tray of food from counter to table - AMAZING! We are only a few weeks into the first term of school and not once has the loss of lunch through clumsiness been reported. I'm too nervous to try this out at home. 7. Your child will make friends beyond the control zone. There will be new friends whose presence in your child's life you did not orchestrate. Don't we all get used to arranging play dates with parents we like? Those who we consider like minded? Well, it's all about to end because children will make their own friends at school and inevitably, you'll be asked to arrange a play date with a child you know nothing about. This could be awkward! 8. The comradery - meeting other mums and families who are actually, genuinely like minded people. The parenting tips, the recipe sharing, the decorating steals and uniform swaps ... I could go on but I'll stop now before I start declaring undying love and detailing weird codependency habits. Is this how it should be or am I still high on new starter enthusiasm? How have you found starting school?